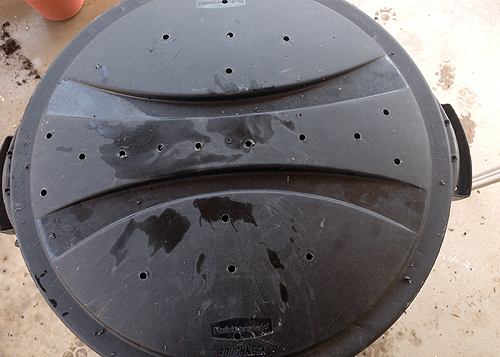 Why pay for an expensive composter when you can make a Cheap and Easy DIY Compost Bin? Once you make one, you’ll be making another! 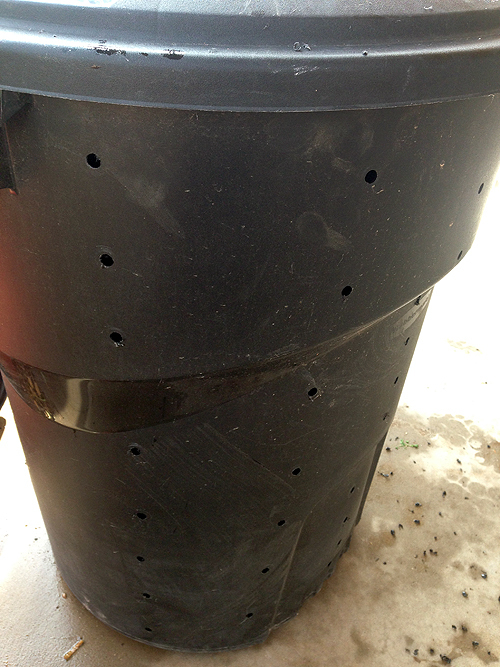 If you are a gardener and you aren’t composting yet…well you’re missing out my friend. Composting make yard and kitchen waste into black gold. But I know that buying a composter can be pricey – but I’m going to solve that right now! 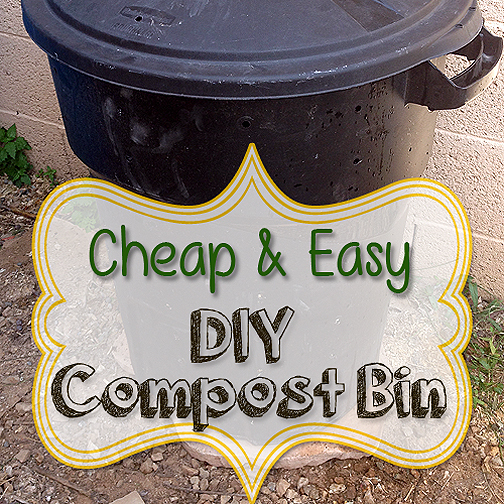 You can make a DIY compost bin cheap and easy! I had the can and the drill so this project was free for me. But you can find these plastic trash cans on sale; I got mine for $13 at Home Depot a year ago. 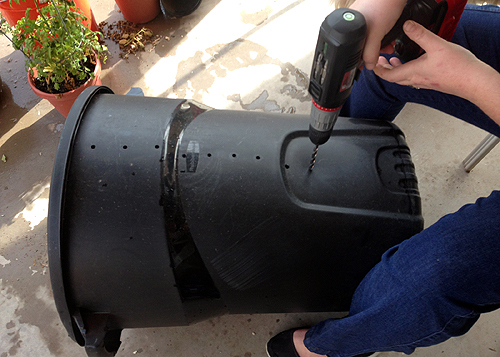 It is simple as drilling rows of holes into your trash can. I did each row about 6 to 8 inches apart and each hole about 2 to 3 inches apart. I didn’t measure and I wasn’t worried about it all being perfectly even. But your compost needs to breath. Remember that compost is full of living things that nee air to live and complete your compost. Make sure you get all the plastic junk out of the holes and your can…who wants that in their compost? Yuck. Fill and wait for the magic to happen. My hope is to have 4 – 6 of these smaller composters. Small piles will breakdown faster than a larger pile and I’ll have one ready while I am filling the others up. 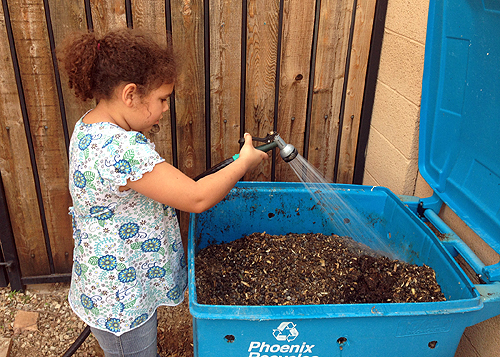 Don’t forget to keep your compost watered; those microbes need water too. But don’t drown it! Here my youngest is giving our larger compost bin a little drink. 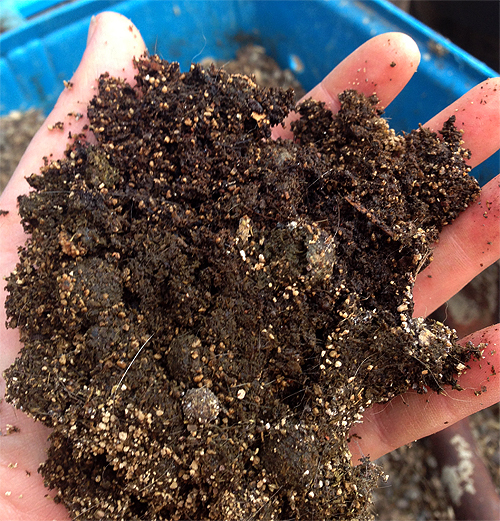 Check out my post on 10 things you never want to compost! Mine is mainly rabbit droppings. But you can add fresh (uncooked) fruit and veggies scraps from the kitchen, but avoid seeds. Leaves, grass clippings, pine needles from your yard but avoid pesticide treated plants. I even add my coffee grounds and tea bags! Does chopping up fruit/veggie waste help break down faster or is that just adding extra work? I saw something that said no fish, bone, etc. Does this mean no eggshells or gutted fish remains? Would adding worms to the bin kill them cuz it gets so hot breaking down/composting? I also saw somewhere that adding human hair & vacumn waste is compostable. Is that true/ recommended? I believe it does but isn’t necessary in a large system. 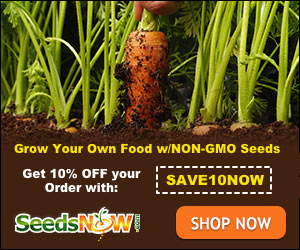 You should only add worms to a vermicomposting system. Human hair that is not chemically treated would be fine, as well as animal fur without chemicals. I would probably avoid vacuum waste.